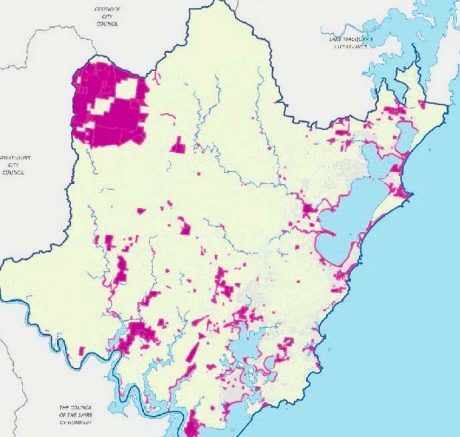 CENTRAL COAST: Future ownership of over 1,400 parcels of Crown Land to be decided | COMMUNITY ACTION ALLIANCE FOR NSW (CAAN): HOUSING INEQUALITY WITH AUSSIES LOCKED OUT! THIS is about future ownership of more than 1400 parcels of “Crown Land”, and a development application lodged for a 160 lot subdivision (in another article) … we are witnessing a feeding frenzy over the National Estate; everything is about value, investment and profit … to hell with the consequences! How many old Gosford Council reserves, parks and playing fields are, in fact, in that dangerous classification of ‘Operational Land’ which allows the sell off of the land without consultation? The new Crown Land Negotiation Program Committee, formed by Central Coast Council, has commenced work on the Assessment Stage of the NSW Government’s Comprehensive Crown Land Negotiation Program. The program will determine the future ownership and management of over 1,400 parcels of Crown Land within the Central Coast LGA. It is meant to ensure NSW Crown Land is held by the most appropriate organisation, out of the State Government, Local Council or Local Aboriginal Land Council (LALC). According to the NSW Government, its intent is to “achieve the most positive social, cultural or environmental benefits for the people of NSW”. The Program includes voluntary, multi-party negotiations between NSW Government, Central Coast Council, Darkinjung LALC and the NSW Aboriginal Land Council. Council’s Negotiation Program Committee consists of a Councillor from each of the five wards within the LGA, including Mayor, Jane Smith, (Chairperson), Deputy Mayor, Chris Holstein, and Councillors, Kyle MacGregor, Jillian Hogan and Lisa Matthews. The Council resolved on July 9 that the Committee urgently meet to review the Draft Central Coast Council Principles for Claiming an Interest in Crown Land, and the first meeting of the Committee was held on July 19. Committee members, Council staff, representatives from Darkinjung LALC, NSW Aboriginal Land Council and Department of Lands, Crown Land (DoL Crown Lands), attended an initial site visit. Various sites of Crown Land were visited and the parties had the opportunity to express their interests in the Crown Land. Mayor Jane Smith, who took part in the site visit, said it had been very useful. “When the Crown Lands Act changed, part of those changes was that some land would be handed over to Council,’ Mayor Smith said. “The bus trip was very useful in that we went to different sites and each of the players talked about what interest they had in that land. “It gave all of us an understanding of the process and the negotiations that will have to happen. “For instance, Council might say they have an interest in a piece of land because its use is public recreation, while Darkinjung could say they had an interest for cultural reasons, so it was really about just understanding the process and where that land might be vested. “The size of the task is why Council identified principles to understand what Council’s interest in each parcel of land is. “I understand the community’s concerns about the legislation, I think there has been a lot of concern about that. “We set up this committee to make sure the interests of our community are well represented by our councillors in considering this process. “Council is not coming to it with a view of having land that can be then sold off, that is not part of the conversation or thinking at all,” she said. Under the new NSW Crown Land Management Act 2016, the Minister has the power to vest Crown Land in the Central Coast Council if it meets prescribed Local Land Criteria and with Council’s consent. The Local Land Criteria are whether the land: provides, or has potential to provide, a public good for residents; use is, or could be, consistent with the functions of local government; and, is, or has potential to be, managed as a community asset. The Program is using the Aboriginal Land Agreement (ALA) mechanism under the Aboriginal Land Rights Act, to reach agreement on approximately 1100 Aboriginal land rights claims that have been lodged in the Central Coast LGA. The Program consists of four stages: Preliminary; Assessment; Negotiation; and Post Negotiation. The Central Coast Program is currently in the Assessment stage, with each party undertaking an assessment of the Crown Land in the whole area, and indicating which Crown Land they have an interest in owning and managing. Council’s assessment will be based on its own Negotiation Principles, put forward by staff and amended by the Committee. The Committee discussed the Councillor endorsement and approval stages of the program at its first meeting. Committee members will receive a list of all properties that Council claimed an interest in and the basis for each claim at the end of the Assessment stage, which was anticipated to be the end of August. Then, the Crown will prepare a spreadsheet that identifies land that more than one party has claimed an interest in. Land with no or only one interested party may be retained by the Crown or vested in that party. The land with overlapping interests will be divided up into several negotiation areas, which will then be the subject of detailed negotiations in the Negotiation phase. There will then be a report on the outcome of negotiations, including details of the land, or interests proposed to be vested in Council. Approval will then be required for the vesting of interests in Council at the end of the Negotiation Phase.